The hubs IMed me earlier this afternoon asking me what was for dinner. I said I wasn’t sure yet. He requested wings that I make some wings since the game was going to be on. I requested him to stop somewhere on his way home for some beer if we were going to have wings. You gotta have beer with wings. I was planning to make some sriracha wings but he requested regular hot wings and some garlic parmesan. Perfect. I’ve made him some baked garlic parmesan wings using Jaiden Hair’s recipe before and he liked it. Now to find some hot wings that weren’t just what the back of the hot sauce bottle had. I came across a recipe on allrecipes.com which got a lot of good reviews, so I figured this was the best bet. Heat oil in a deep fryer to 375 degrees F (190 degrees C). The oil should be just enough to cover wings entirely, an inch or so deep. (I didn’t do this step at all because I wanted something a little lighter; however, if I was entertaining, I’d probably do it.) Combine the butter, hot sauce, pepper and garlic powder in a small saucepan over low heat. Stir together and heat until butter is melted and mixture is well blended. Remove from heat and reserve for serving. 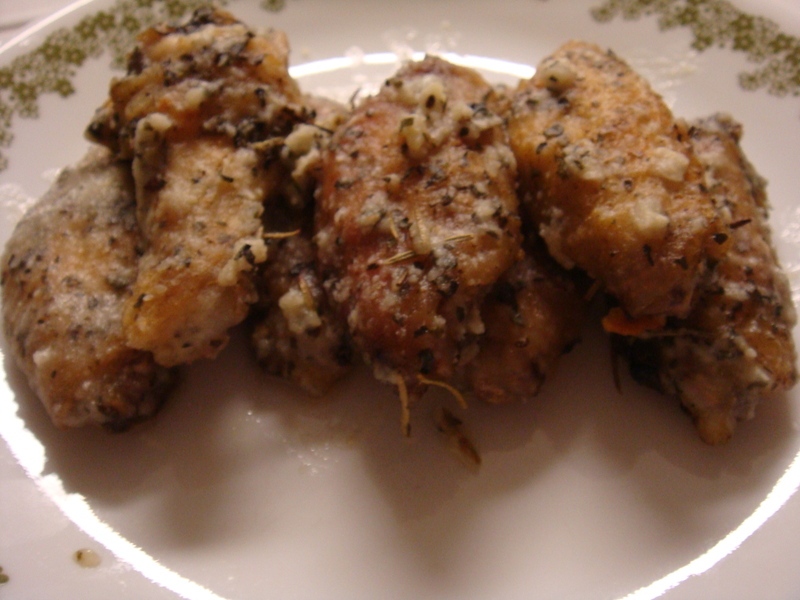 Fry coated wings in hot oil for 10 to 15 minutes, or until parts of wings begin to turn brown. (Again, I didn’t fry mine. I popped them in the oven at 400 degrees for twenty minutes on a greased baking rack and sheet pan.) 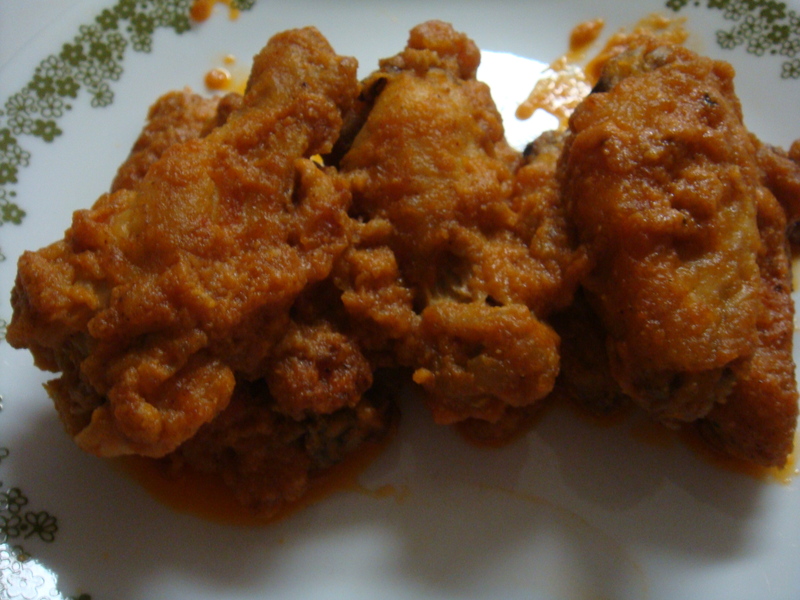 Remove from heat, place wings in serving bowl, add hot sauce mixture and stir together. Serve. I’m sure they would’ve been better fried but I try to balance the bad with the good when it comes to food. Here’s a snap of the baked Garlic Parmesan. DELISH. To accompany my wings, I made some spinach loaded potato skins. Stay tuned for that recipe tomorrow.